A former inmate's determination to change life's course and his bold request to be mentored has yielded uplifting results. Divine, Founder and CEO of BLAK Fintech. Who knew there were people in prison reading Entrepreneur magazine? Many don't realize that prisons offer educational materials and programs but that are invaluable to inmates. Education is one tool to foster rehabilitation and combat recidivism, the troubling tendency for those incarcerated to end up in prison again. The United States has less than 5 percent of the world’s population, but almost 25 percent of the world’s total prison population. Six out of ten of those who serve time return to prison after they are released. It doesn't help that Unicor, the labor program in place in US prisons, is a multibillion dollar system with a vested interest in retaining its massive headcount of very-low-wage workers. It’s a hot button topic in the tech world, which generally puts a lot of thought towards social change. Think Dustin Moskovitz, who recently donated $2 million to the Alliance for Safety and Justice, a charity committed to reducing the U.S.’s over-reliance on incarceration. Recidivism is something Divine experienced firsthand. He was in and out of prison for more than a decade. While there, he had a chance to start educating himself, a chance not every person gets. However, as soon as he returned to the main world, he found it nearly impossible to get a good job. He didn’t have the right experience, and his record kept him from many opportunities. The lure of the drug world, where he could make quick money to provide for his loved ones, became impossible, until he finally began to explore the opportunities provided by entrepreneurship. Divine’s story began in Newport, Rhode Island, where he was born. For the early part of his life he was raised in a relatively middle-class home. His mother worked hard to provide the very best for him and his younger brother. His entrepreneurial father was not a fixture in his life. His father would become an affluent business man running a roofing and painting company, eventually residing in a prestigious part of the community outside of the family. Due to his father’s behavior, his mother experienced an unexpected emotional and mental breakdown. From there, everything spiraled out of control. She turned to drugs to cope, and the family underwent several moves in the space of a few years. At 13, Divine started selling drugs. He refused to touch the stuff himself, having seen what it did to his mother, but he was fed up with his family’s poor living conditions. He wanted to get out of the projects to get his mother help. Selling drugs was the fastest way he knew to make money. The judge told him to consider the seven years he was sentenced as “going away to college.” Divine took these words to heart. He attended ACE courses and worked his way through low-paying prison jobs (12 cents an hour) to eventually entering Unicor and earning $100 a month. He used this money to sustain himself and purchase books on the music industry. He stayed to himself, kept out of trouble and didn’t watch much TV or listen to much radio. Self-taught, he read everything he could get his hands on, including the dictionary. “I would check out the biggest dictionary, and every day I would learn a new word.” Much like Malcolm X during his incarceration, Divine used the dictionary not only to polish his vocabulary, but also as a source for his rhymes. 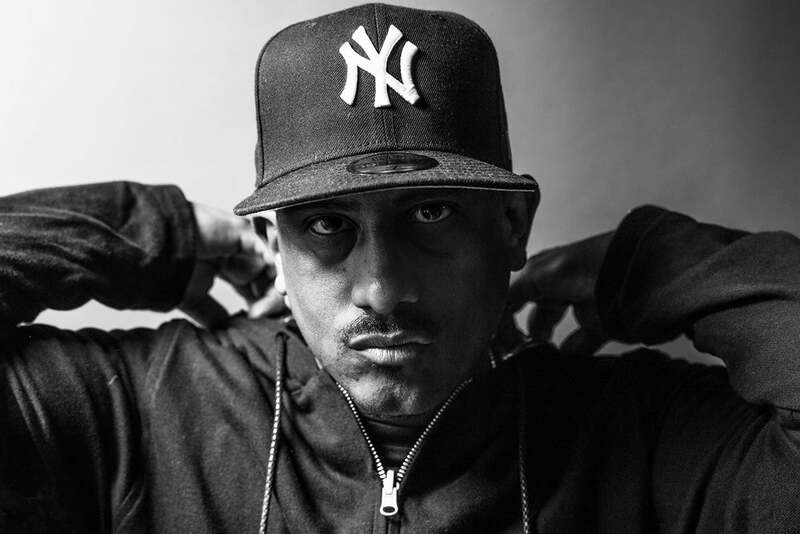 Interested in hip hop since age 10, he began to hone his skill and wrote music while still incarcerated. When he was released, Divine put his focus into his music career. He started a record label, and spent his time recording and trying to secure funding for his company. 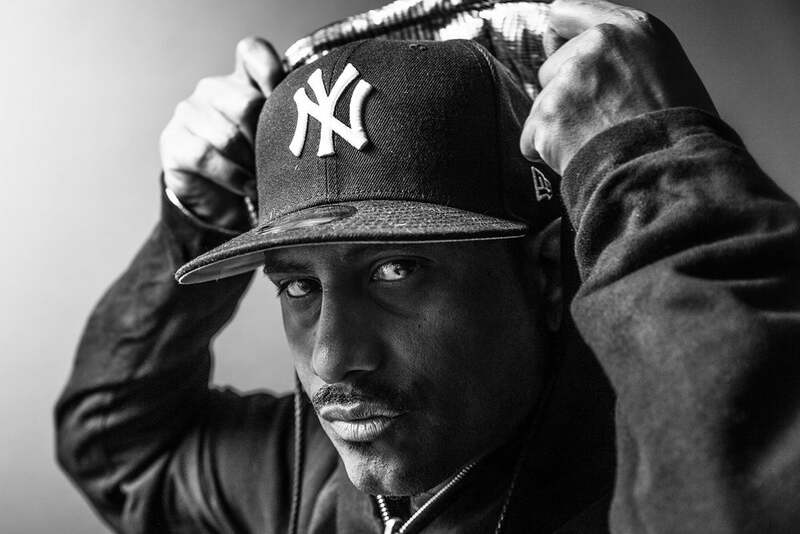 Though he had some big wins --performing at a showcase for his record label in NYC, at renowned club Speed, featuring legendary hip hop producer Marley Marl as the events DJ -- he struggled to penetrate the NYC music industry. Not only was the world of hip hop closed to him, every industry seemed to be. His criminal record made both employers and securing investment hard to find. Eventually, he returned to selling drugs. He was back in prison just 19 months later, serving two and half more years. This cycle of recidivism would continue for 13 years. Fast forward, just five years ago, Divine found himself incarcerated again. Divine kept up his reading, focusing specifically on entrepreneurship and startup companies. Divine knew he had a talent for business, he just needed to apply it the right way. His experiences as a drug distributor had instilled in him the skills essential to running a startup: sales, business development and even customer success. During his reading, he came across an piece in The Week magazine, which referenced an article from The New York Times on tech venture capitalist and Silicon Valley billionaire Ben Horowitz. The article mentioned Ben loved hip hop and used it to teach business lessons to his employees. At first, Divine was skeptical, but a little research reassured him. Ben’s passion for the genre was well documented; he even had his own hip hop name. Ben replied by donating to the Kickstarter Divine set up for his debut album, but also by giving Divine his personal email, encouraging him to reach out if he had any questions. Divine was grateful for the money, but much more impressed by the email. He was flattered that Ben would be so willing to answer questions, and as a thanks, he quickly wrote a rap about him. The song took off on the internet. Divine found that suddenly, his email inbox was flooded with messages. Then came the call from Ben’s wife, Felicia. She wanted to fly Divine out to Silicon Valley to attend Ben’s private birthday party of family and close friends. That visit to California opened a host of doors. Divine became good friends with Ben and Felicia and also got a serious look at the tech industry, and the lifestyle of those who thrived in it. He knew what kind of life he wanted. He had the business skills, and now the contacts and mentorship, to succeed in it. Divine loved this advice from Ben, “Don’t follow your passion, follow your contribution.” The words inspired him to think, how he could build a business that would make a positive contribution to the world? How could he turn his own troubling story into a product? Eventually, he started BLAK Fintech, a financial services and technology company committed to building affordable products to help the financially excluded, the unbanked and underbanked. Today, Divine’s credentials are impressive. BLAK Fintech is set to launch their new product, a next generation prepaid debit card and financial tool meant to help the “urban entrepreneur” and financially excluded build wealth. He’s also found significant success as an inspirational speaker and is currently working on his first book and screenplay for a feature film about his life. 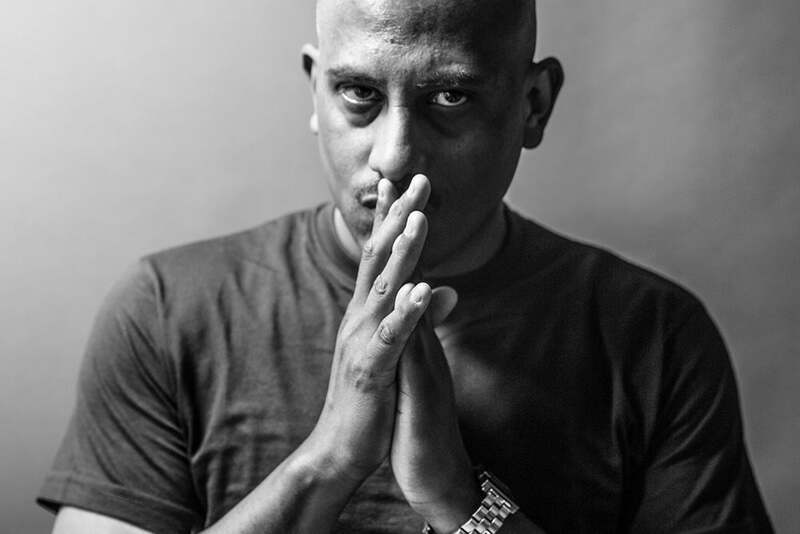 He’s been featured in TechCrunch, Forbes, Black Enterprise and many other media outlets. He has an upcoming speaking engagement at France Fintech: Revolution in Paris and just most recently spoke at Georgia State University for their Entrepreneurship and Innovation Institute's H.J. Russell Center's Influential Speaker Series. This year, he’ll be launching his “From Incarceration to Innovation” speaking tour across the country, which features other notable formerly incarcerated individuals who’ve found redemption: New York Times best-selling author Shaka Senghor, Frederick Hutson of Pigeonly, and Trevor Brooks of GunBail. Divine’s story highlights his talent for building relationships at high levels, from major drug suppliers in the streets of NYC, corrections institution directors to billionaires. He credits this talent to his healthy relationship with fear and believing in yourself. Believing in and never giving up on himself is what allowed Divine to persevere in prison. He says it's also what contributes to his high self-esteem and strong self-confidence. Obviously, this is what has led others to believe in him. Divine has most recently become a contributing writer for Black Enterprise, as well as being asked by BE to come on to their third annual TechConneXt Summit Steering Committee.